Arm Keil MDK can be used with the GNU Compiler Collection (GCC). GCC is an open-source development effort with numerous contributors; it is widely available and supports many devices. 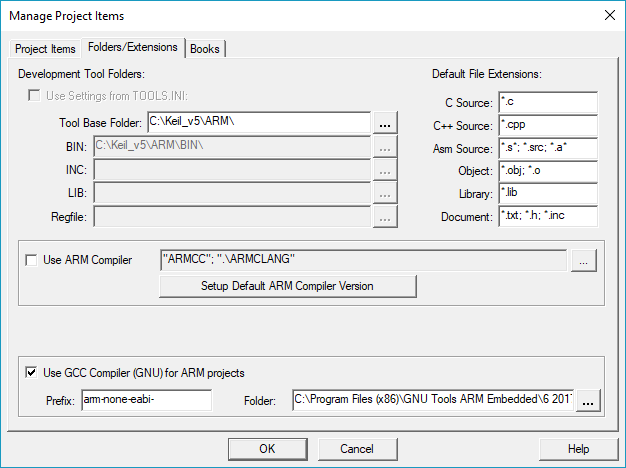 Enable Use GCC Compiler (GNU) for Arm projects. Refer to Folders/Extensions for field descriptions.